With Chuck Wendig’s Empire’s End arriving this month, I decided to review Aftermath and Aftermath: Life Debt. After my first read, I found these post-Return of the Jedi stories entertaining and engaging. For one, getting some details on how the galaxy evolved after the death of the Emperor and Darth Vader was fascinating. The new canon provides little description of this era. Therefore, I was trying to read these stories just a little closer this time around. One of the things I paid extra attention to was the character of Sinjir Rath Velus, the former Imperial loyalty officer. One aspect of Sinjir’s character struck me: he was willing to do bad for the greater good. This reminded me of Cassian Andor, who confessed to Jyn Erso that he had done terrible things on behalf of the Rebellion. This raises the question, where does the Rebellion draw the line? Although he never really identified with the Rebellion, Sinjir became close friends with Rebels. In fact, over the course of Life Debt his motivations became clear. He found friends, and friends weren’t something he was used to having. In fact, he murders an Imperial because, that Imperial “made [his] friends sad.” Earlier in Life Debt, Sinjir tortured a prison architect to retrieve some badly needed intelligence. Later, he confessed to his comrades that he didn’t want to be himself anymore. Although torture wasn’t something Norra Wexley and Sinjir’s other companions were comfortable committing themselves, they recognized a need to do bad for the great good. Therefore, they excused, if not endorsed Sinjir’s actions. Without Sinjir’s talents for retrieving information from uncooperative sources, the success of their mission was unlikely. 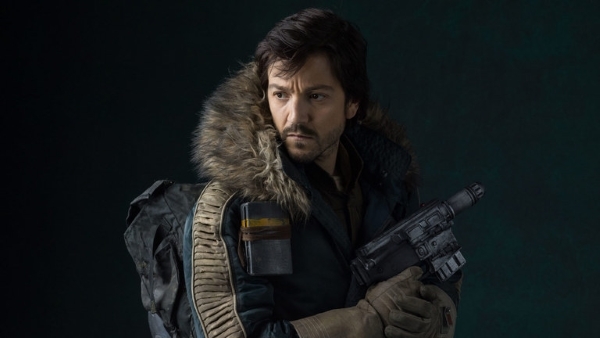 Cassian Andor first became familiar to Star Wars audiences in Rogue One. In fact, Cassian’s introduction wastes precious little time demonstrating that he was willing to engage in morally questionable conduct on behalf of the Rebellion. After answering a call from an informant, Cassian arrives at the Ring of Kafrene. Once his informant conveys his information, stormtroopers discover them. Apparently Cassian didn’t believe he could talk his way out of this encounter, so he shot the stormtroopers. Unfortunately, his informant had an injury that prevented his rapid escape. Therefore, Cassian shot him in the back rather than let him fall into the hands of the Empire. Of course, Cassian’s conduct was morally questionable. His informant didn’t voluntarily sacrifice his life. To the contrary, his informant panicked when Cassian shot the stormtroopers. They were trapped, and he knew it. Similarly, elements of the Rebellion, or New Republic if you prefer, endorsed Sinjir’s morally questionable conduct. Beyond an individual aversion to assassination and torture, why is this alarming? Up until recently, the Rebellion was viewed as the white knights of the galaxy. Torture, mass destruction, assassination, and bounty hunters were primarily the province of the Empire. Novels like Life Debt and movies like Rogue One took the shine off the Rebellion. Furthermore, how much is too much for the Rebellion? Saw Gerrera was shunned by the rest of the Rebel Alliance because they were uncomfortable with his methods. However, audiences know that General Draven ordered Cassian Andor to assassinate Galen Erso. They also know that Cassian shot an informant in the back. Later, the Republic willingly overlooked torture. So, what could Saw Gerrera have done that was too much for the Rebellion? Rebels fans saw him torture Click Clack, the last Geonosian, to get information. Kanan, Ezra, and the other members of the crew of the Ghost objected. In fact, Ezra accused him of being no better than the Empire. Saw quickly relented. However, he declared such tactics necessary if the Rebellion truly wished to defeat the Empire. Therefore, there is a little inconsistency among the members of the Rebel Alliance and the Republic. Also, don’t forget, Darth Vader tortured Princess Leia on the Death Star. That experience haunted Leia for a long time. I’m not attempting to condemn the Rebel Alliance. However, one must be careful in condemning the actions of the Empire because some of the same accusations can be hurled at the Rebellion. The Alliance fought for the restoration of the Republic, where ideally law was established and enforced by a democratically elected body. The Rebellion fought for self-determination. Meanwhile, loyal Imperialists frequently championed order. Imperials such as Rae Sloane believed that the Empire was the only way to bring order to a chaotic galaxy and willingly sacrificed personal liberties in the pursuit of that order. That isn’t the only difference. The Empire constructed technological terrors, such as the Death Star, to impose their order on their galaxy. The Empire subjugated entire species, such as the Wookiees, to power the Imperial war machine. And, of course, the Empire was willing to destroy entire cities and planets, and kill millions, if not billions in the process, just to make a point or an effective demonstration. In the end, the scale of atrocities might be the biggest difference between the two sides. However, just remember the Rebellion does not have a pristine reputation either. Next article Rebels Reactions: "Legacy Of Mandalore"
Whenever there is war, Dennis, there are grey — even black — areas. On both sides of the equation. However — and this is a HUGE HOWEVER — one must determine for what one is fighting. Order — through manipulation and fear (the Empire)? (There are ways to achieve order that don’t require the annihilation of cities and/or planets.) Justice — for all (the Rebel Alliance)? That’s the real question in determining just when tactics have “gone too far”. Yes, sometimes good people are called upon to commit questionable acts. Like Cassian Andor did in the alley alcove at the Ring of Kafrene. Cassian had a choice to make. He could have escaped, and left the injured informant behind — which would mean that, at best, the informant most assuredly would fall into the hands of the Stormtroopers (and the Empire). Weak and scared as he was, he just as assuredly would have revealed information about which the Rebel leaders could NOT allow the Empire to know, and would have led to Cassian’s capture (most likely). That informant knew of some link to Galen Erso (he said as much to Cassian). Captain Andor did what he had to do. Sadly. Torture? To me, that carries a much heavier weight — on whichever side of the table one sits (Rebels or Imperials). In my book, it is one scenario where the end does not justify the means. It is where I draw the line. But that’s just me. War is horrendous — what it does to people, what it does to countries (or planets 😉 ), what it does to landscapes. No doubt about it. However, there are things for which people will stand and fight. Sometimes it’s necessary. The Empire stood/stands for injustice, tyranny, and ruling by fear. And while I never would say the Rebel Alliance had a lily white reputation, those who fought for the Alliance did/do so for the good of all. What one must do is look into one’s own heart, and determine to what length(s) one is willing to go for “the cause”. Have you ever worn a uniform for your country? I have. It was something I did not do lightly.